Digital technology continues to drive massive change throughout the financial sector. Acting strategically, inclusive fintech startups can use technology to increase access to, improve the quality of, or reduce the cost of financial services for the underserved. However, in too many instances, fintech startups make the same mistake time and again: they build technology for technology’s sake. These fintech models are great on paper but don’t consider the needs and preferences of their customers. They do not use new technologies strategically and fail to transform finance into a sector that works for everyone. Fortunately, a number of successful inclusive startups are finding innovative ways to balance new digital technologies with appropriate human interactions to engage, educate, and support their customers. Finding the right combination of “tech and touch” at the right moments during a customer’s journey is a key factor in determining whether a startup succeeds or fails. Doing so will help a business acquire and retain customers, reduce expenses, increase profitability, and accelerate financial inclusion. This report was developed with the support of The Mastercard Foundation, which seeks a world where everyone has the opportunity to learn and prosper. The Foundation’s work is guided by its mission to advance learning and promote financial inclusion for people living in poverty. One of the largest foundations in the world, it works almost exclusively in Africa. It was created in 2006 by Mastercard International and operates independently under the governance of its own Board of Directors. The Foundation is based in Toronto, Canada. For more information and to sign up for updates from the Foundation, please visit http://www.mastercardfdn.org. 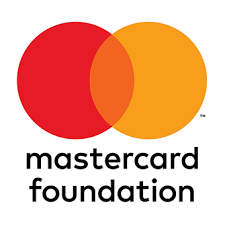 Follow the Foundation @MastercardFdn on Twitter.